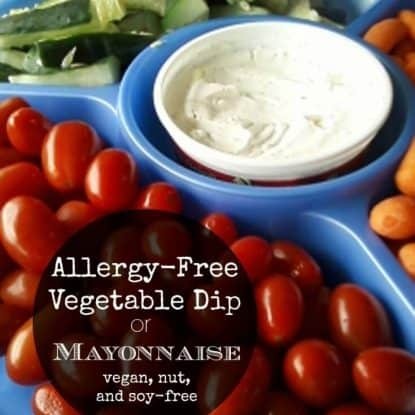 Today I'm sharing with you a fabulous Allergy-friendly Vegan Mayonnaise Recipe. 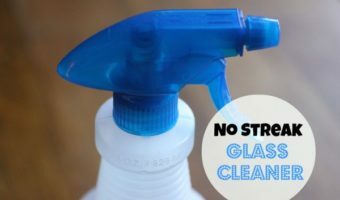 As you probably know if you've been around my blog for some time, my son has life-threatening allergies to dairy and egg (amidst other allergies). So I've had to alter our diets to include dairy and egg-free alternatives to staples – things like Homemade Almond Milk, Easiest Coconut Milk, and Powdered Egg Replacer. But mayonnaise has been a hard one to replace. Why Make this Vegan Mayonnaise Recipe? 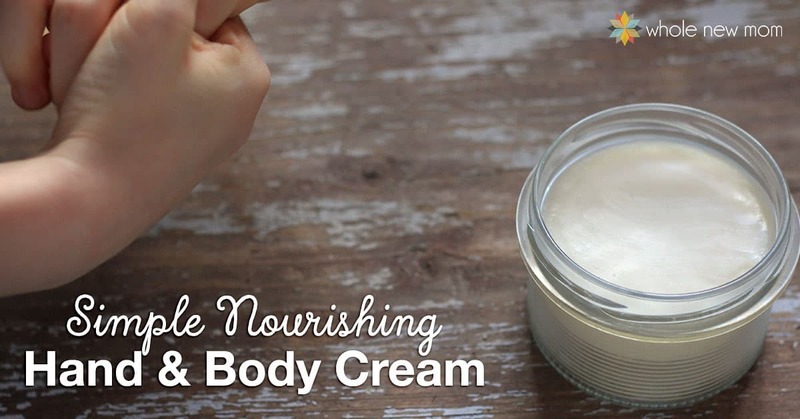 With this fabulous vegan mayonnaise recipe, you really get two recipes for the price of one! And since this blog is free, then you really do get a bargain, eh? are looking for a vegetable dip recipe because you like to cook — I have a solution for you today. And about those commercial dips, how about this list from a popular store-bought dip: potassium sorbate, sodium benzoate, propylene glycol, monoester, titanium dioxide, sodium tripolyphosphate, calcium disodium EDTA — Ugh! 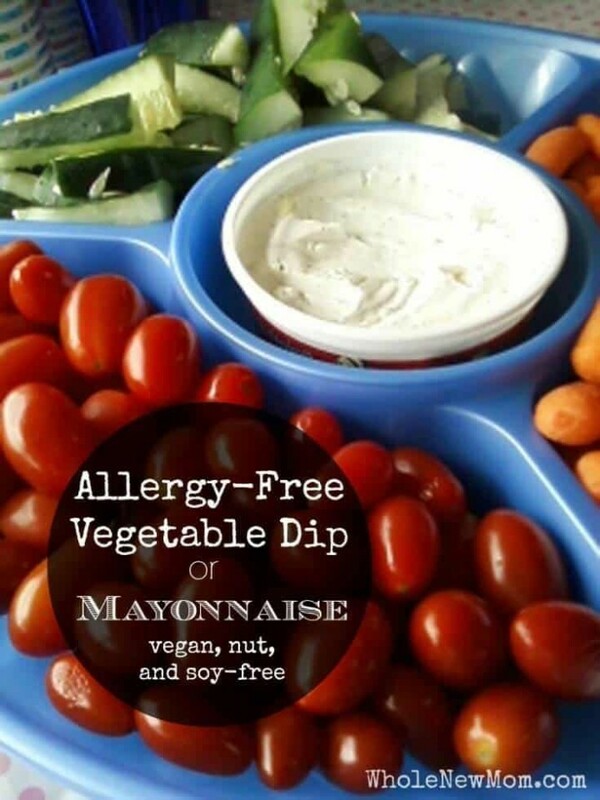 Until I came upon this vegan mayo recipe, my son had never had anything that remotely tasted like mayonnaise. And if I do say so myself, this one comes pretty close to the real thing. This recipe is an adaptation from one in The Allergy Self-Help Cookbook by Marjorie Hurt Jones. This book is a great resource for anyone with food allergies or sensitivities. By itself on a spoon :-). Seriously, they really like it. One somewhat funny way that it has helped us is with our egg problem. Since my oldest has a life-threatening allergy to egg whites, but he is not allergic to the yolks, one thing that I am always doing here is hard-boiling eggs for meals and snacks for him (it's near-impossible to keep a raw yolk intact while trying to get every last bit of white off of it – believe me, I've tried). Well, that leaves us plenty of whites that need to be eaten and well, egg whites alone aren't mine nor my youngest son's favorites (and my husband won't touch eggs. That's another story). Anyhow, if I chop up the white and mix the chopped whites up with some of this “mayonnaise” to make an “egg white salad”, then they get eaten up pretty quickly. Pumpkin seeds would work great instead of sunflower seeds. You can use nuts as well, if tolerated. It is best for your seeds or nuts to be soaked & dehydrated. You can substitute organic lemon juice or 1 tsp vitamin C crystals for the apple cider vinegar. Any oil can be used instead of olive oil. Cornstarch can be substituted for the arrowroot. A good lower-carb option which would work well for the THM diet is organic glucomannan, but only use 1/10 of what you would otherwise use if using glucomannan. You can use any healthy sweetener instead of xylitol, but use only 1/2-1 scoop if using pure stevia extract. Here is a great option for organic dried chives. 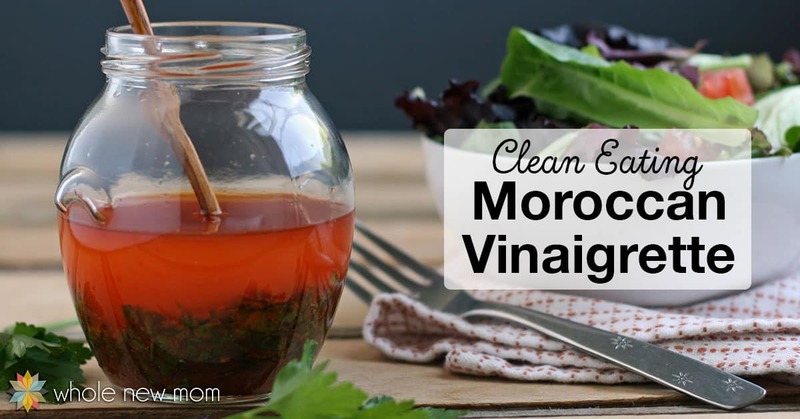 You can substitute organic lemon juice for the vinegar. 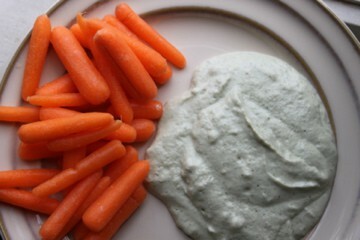 This Vegan Mayonnaise Recipe doubles as a Vegetable Dip. It's vegan, soy, and nut-free! Grind the nuts or seeds into a "flour" in a blender or spice / coffee grinder. Add water, blend 1 minute or until completely blended (if you have a high-powered blender like the Vitamix, you will only need to do this for about 15 seconds. In fact, if you have are so fortunate to have a Vitamix (have you figured out that I really love mine yet? ), you can just put the nuts or seeds (without grinding) into the blender with the water and blend for about 1 minute and you will have saved yourself a step. I'm all about saving time in the kitchen :-). Pour into a saucepan and cook over a medium-low heat until thick. If you are going to be using this as a dip, at this time, you may wish to add extra fresh or dried chives or other herbs like dill, to taste. Cool and then store in the refrigerator. I recommend storing in a glass or stainless jar. It should keep for about 3 weeks. Happy and healthy kids, healthy budget and happy mom! How would you use this Vegan Mayonnaise Recipe? Healthy Valentine’s Progressive Dinner – Breakfast! Hi! This sounds like a great way to use up pumpkin seeds. Just wondering, tho, if it’s necessary to dehydrate them again after soaking? Thanks for sharing these recipes! I just found your site and plan to try quite a few! Hi Joanna. It’s not necessary but they will spoil quickly if you don’t and will not easily be able to be used in recipes calling for dry seeds. Thanks for the kind words! what does it mean to use “1/10 the amt of glucomannan – 1/10 of a Tablespoon? 1 T of arrowroot is 10 grams…so 1 gram of glucomannan? I’m sorry. We like it. 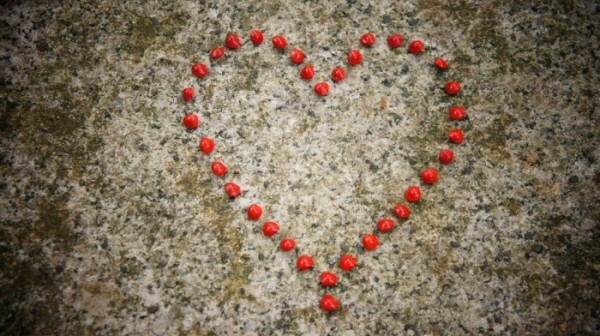 I hope to find another option someday :). The original recipe called for apple cider and vinegar so I just put those in as options. Thanks – I’ll try to make it more clear. Hey Andrienne! I am going to try this for dinner tonight, but I am not going to cook it, and I am not doing to use arrowroot! Looks so yummy!